Choosing nonprofit or church accounting software for your organization can be a stressful and tedious chore! You are not looking for the best accounting software on the market. Instead...you are looking for the fund accounting software that best fits the needs of your particular organization. What is your budget for accounting software? How much does technical support and program updates cost for the software you are considering? Do you need accounting software specifically designed for nonprofits or churches or will a standard accounting package do? How user-friendly is the software? Do you need payroll capabilities? Will it integrate with your current or future payroll software? Will the software package require additional hardware? What are other users saying about the software you are considering? How easy will it be to train your current and future staff how to use? Keep in mind that what works for one organization may not work as well for another! 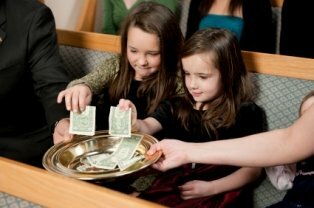 Although it is good to check with other similar organizations on the software they use, every church and nonprofit is unique and what accounting software may work for your friend, Joe's church may not work as well for yours with more or less assets and liabilities. *See 3 common mistakes people make when choosing church software. 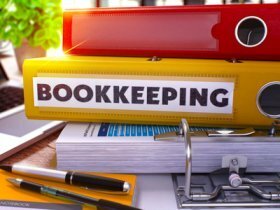 The following church accounting software reviews are a quick summary of a few of the well-established accounting software companies. They are not a recommendation as most of the software listed I have not personally used except for Aplos, QuickBooks Pro, and QuickBooks Online (QBO). I am relying on our considerate readers to give their feedback and comments on the church accounting software they personally use. Church Windows and PowerChurch are 2 of the top church accounting software; however, they do require some training and are quite expensive for small churches that may not need such a robust software. So I am emphasizing again to do your homework before you purchase any software for your church or nonprofit organization. Need help setting up an effective accounting system! Overwhelmed with the accounting part of your ministry? Have a high turnover of individuals keeping the books? Hiring a full time in-house bookkeeper not affordable or even a possibility at this time? Let us take care of your books! We can also set up an accounting system and train you how to use! This is my nonprofit accounting software of choice! It is perfect for churches and nonprofits that rely on non accountants for data entry. Aplos Software was made specifically for churches and nonprofits. You don't have to install anything because it is web-based, and it is easy to use. They are reasonably priced and they offer a 15 day free trial for new users. Also, if you are a church that has planted within the past year, or is planning to launch soon they will give you 6 months free. Note: FreeChurchAccounting readers can also enjoy a 30% discount for 12 months simply by entering FCA30FOR12 in the promo code box! QuickBooks Pro and Premier is an off-the-shelf accounting package. Although the price can be considerably lower than specialty church accounting software, there are some factors you need to be aware of such as its limitations. It will track income and expenses; however, it is designed for for-profit business, so users have to develop ways to work around its fund accounting limitations. Its class tracking feature works well for tracking restricted and designated funds. I believe it can be an affordable option for many churches. Especially with a wonderful resources like CPA,Lisa London's QuickBooks for Churches book! The book is written for beginner and advanced church bookkeepers alike, in a friendly and easy-to-understand style. It provides step-by-step instructions on how to set up or improve Quickbooks for your church. Note: FreeChurchAccounting readers can enjoy a 10% discount simply by entering "FCA" in the discount code box! She also has online classes that are awesome for setting up and using the desktop AND online versions of QuickBooks. The Quickbook Pro usually runs about $150 - $200. The QuickBooks Nonprofit edition is considerably higher at around $300 - $400. Quickbooks Online (QBO) is also a good option for churches and nonprofits. Even though my nonprofit and church accounting software of choice is Aplos, TechSoup's free offer (well almost free ...there is a $50 admin fee) QBO or QB (desktop) is had to beat. QBO is currently $60 a month...so I advise most of my monthly bookkeeping clients to take advantage of that generous offer. See more on TechSoup's offer. Note: This is a church accounting software that has been around a long time and is probably great software (I have never personally used it); however, the feedback I am getting from my readers is that it and PowerChurch are a little expensive and a little too robust for smaller churches...especially for those churches that rely on volunteers for their accounting. It may be a little difficult for new volunteers to learn and efficiently use. PowerChurch organizes membership, contributions, accounting, events, and general record keeping, with one complete package. You can account for contributions, maintain payroll, track your budget and automate your accounts payable and receivable. The Accounting system is not just for non-profit fund accounting use - it is specially designed for churches. A setup assistant walks you through the process of creating your chart of accounts and establishing beginning balances. The accounting section also includes accounts payable, accounts receivable and payroll modules. Shepherdbase (Church Membership Database) provides small to large churches with an affordable, easy solution to track: memberships (unlimited), groups, events, contributions, attendance and much more. Shepherdbase has many great benefits and features such as the ability to generate reports within minutes ready to print for the Pastor after he calls requesting such reports as the Membership Directory (includes each member's address, phone, birthday, anniversary, etc. ), Church Attendance Report, Events Report, Groups Report, Family Report, Contribution Statement, and Contribution Letters. See more Shepherdbase information and Shepherdbase screen shots. Church Community Builders is a cloud-based management software used to track contribution management and online giving, volunteers, membership, check-ins, etc. I have not personally used this software, so I cannot give you an in depth review of it, but several of my clients have used and are currently using it. From them I have received a variety of opinions, many loved it but most of my smaller church clients that relied on "not really tech savvy" volunteers said it was not the best church management solution for their churches. I love Aplos for tracking donors and their donations as well as their accounting ...BUT I don't like tracking donors/donations in QBO. It can be done...but not efficiently...so I use an "outside" donation management software with most of my QBO clients. 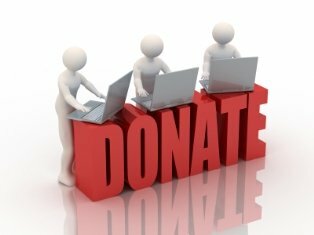 AND with the higher demand for online giving....I try to make sure the donation software will handle online giving AND let me put in offline giving as well. See more on How to Accept Online Giving! I personally think this is the best and easiest to use for tracking online and offline donations and donors....BUT the monthly fee is based on the amount of donations...so it can get expensive for those with greater amounts of donations. Let me start off by saying, Planning Center has a lot of different modules that you can use for such things as music, registration and check in services, event planning, etc., but I am only familiar with the "giving" module...so that is what I am reviewing. Usually the set up is handled by my clients, but all of them have said that is was pretty easy and planning center's support was good. As their accountant, I love the reporting capability of Planning Center Giving! It is the easiest software I have ever worked with as far as being able to log in and get reports for my clients online and physical (offline) donation breakdowns. My clients also tell me their donors really like the "ease" of setting up and using the online giving. Donors are issued an instant donor receipt when they give online, but generating contribution statements are also a snap in planning center. Breeze will track offline donations as will as processing and tracking online giving like Planning Center, but unlike Planning Center that has separate modules you can purchase individually and collectively....Breeze includes all of their church management features in one "package" with one simple flat rate of $50 per month. Like Planning Center, you can use Breeze for organizing church events and check-in/registration, and like most church management software, you can also organize your donors into groups and have their contact information at the touch of a button. my clients that use Breeze tell me that that the set up and use of the online giving is a snap. Breeze states on their website that they are "focused more on small and mid-sized churches" and I do believe it can be a good option for church management and online/offline giving tracking for churches. If you use Aplos, a good option for online giving is WePay. It integrates with Aplos and does the hard work for you by automatically entering the complete donation on the donor's giving record and then applying the fees where they go in your accounting. BUT I have had a few of my clients complain that there are more "failed" giving attempts with WePay ...but if you use Aplos you may want to try it out. It has low processing rates too. Keep in mind that it is just for online giving and offline giving will still need to be tracked with Aplos's donation module...which is pretty simple to use and integrates with their accounting module. Please take a moment out to help a fellow church volunteer/staff by submitting a comment on the church accounting software you have used. Please also include what you like or dislike about the software. Would you recommend the software to another church administrator? You can also ask questions about accounting software...again include approx numbers of church members. Do you have a question or comment regarding church accounting software? Share it! Your questions and comments will appear on a Web page. You can wrap a word in square brackets to make it appear bold. For example [my story] would show as my story on the Web page containing your story. Does Aplos give you the ability to print checks like Quickbooks? Anyone used Working Church mangement software? Is anyone familiar with Working Church by Brothers in Christ software company? I am researching various options for our church. Have you heard anything about Servant PC Resources? Our church uses Churchtrac. I need to print 1099's. I have the blank forms, but do I need to buy software to print them correctly? I used http://www.churchmanagepro.com I found it had all the features in one and was for a good cause, Highly recommended. Anyone heard of ChurchPro Software? For non-profit church pro 2010 has all that is required including FAS 95 & 117 IRS regulations. Has anyone used this software? Is the program 'Money Counts' still available? What is the latest version? Do you have any reviews or comments regarding its use? Does anyone know where I can find instructions or information on how to use Membership Plus 10? 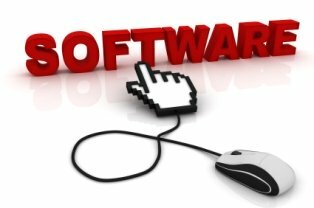 Which Church Accounting Software Is Best?